Known as a sturdy North American hardwood, rift-cut red oak continues to gain popularity today. American oaks are generally divided into two major commercial groups known as red oaks and white oaks although a third group, known as the live oaks, also grows in the United States. American red oaks are used for many of the same uses as white oaks and are popular for a wide range of uses, including flooring, furniture, architectural millwork and cabinetry. Red oaks treated with preservatives are also used for railroad ties, mine timbers and fenceposts. While red oak is not suitable for tight cooperage, it is highly valued as an integral part of the production of wine, beer, sherry and brandy. Average height is 60 to 80 feet. Weight averages at 48 pounds per cubic foot. Wood needs care in air or kiln drying to avoid splitting, checking or honeycomb problems. Heartwood is non-durable and susceptible to insect attack. Sapwood is permeable; heartwood moderately resistant to preservatives. 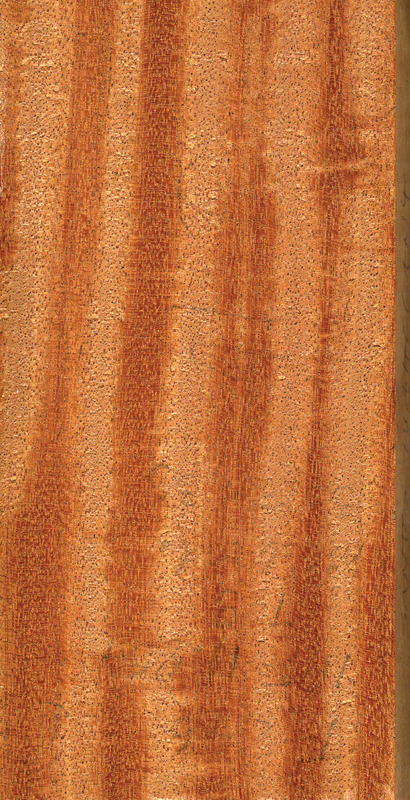 Wood can have moderate blunting effect on some cutting tools. Rick Hearne, owner of Hearne Hardwoods in Oxford, PA, said both red and white oaks have had a long tradition as fine North American woods. "The oaks are considered good, strong woods. Red oak sales are steady year in and year out with few price fluctuations. Until the 1920s, the hardwood of choice in this country was probably chestnut, but the blight wiped them out and red and white oaks sprung up in their place." Hearne said that at his specialty lumber company, red oak is probably 10 percent off its all-time highest. "Red oak is an industry standard for flooring and moulding. It's popular for built-ins like entertainment centers and for cabinetry and doors, but there has never been a time when red oak has been used in the so-called fine furniture. There's been no Chippendale or Queen Anne styles made of red oak, for example, although North American white oak along with French oak, English oak and English brown oak has been part of the fine furniture tradition." Hearne said part of the reason might be that red oak is more porous and open grained and does not take a finish quite as well as white oak. Red oak lumber is used in a variety of furniture applications, including the very popular arts and crafts looks. Red oak is also cut into veneers. Greg Engle of Certainly Wood in East Aurora, NY, said his company sells a variety of red oak cuts. "We keep red oak veneer in stock and we keep well balanced types of cuts in stock in equal amounts, from flat cut to quarter sawn with a tiger or ray fleck pattern, and the popular rift cut." Engle said the rift cut offers very lineal structure minus the fleck or tiger stripe across the face. "In terms of the patterns we carry, rift is something we are seeing many requests for, over flat cut or quartered for red or white oaks." 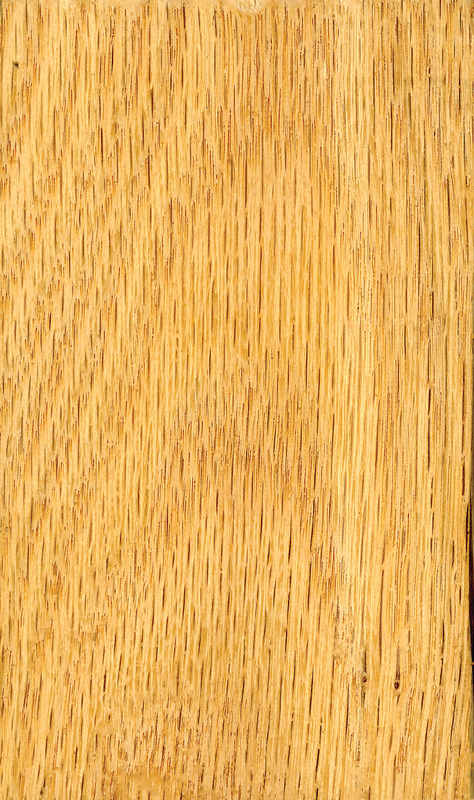 Engle said white oak often wins out over red oak in terms of popularity with clients, but depending on the use, red oak can be a good substitute for white oak. "If the client is applying a stain, he has a little bit of latitude when working with oaks because they have similar grain structures. Red is distinguished by a slight red tint. Red oaks are the faster growing tree and are a little bit looser in their overall structure compared to a tight growth white oak." Engle said the popular rift-cut veneers primary uses are in kitchen and home design. "Rift cuts are popular today in red and white oaks as well as ash, walnut and maple. The rift cut gives a very linear or combed grain look. Imagine someone taking a comb and straightening all the grain out," Engle said. Red oak needs care in the drying process to avoid problems. Hearne said his company has few problems with red oak because it air dries the lumber for a year before putting it in kilns to dry. "Part of the problem people might see in drying red oak is more in the fact that there is a world-wide demand for lumber and the green logs are being kilned right after being cut, rather than letting them air dry." 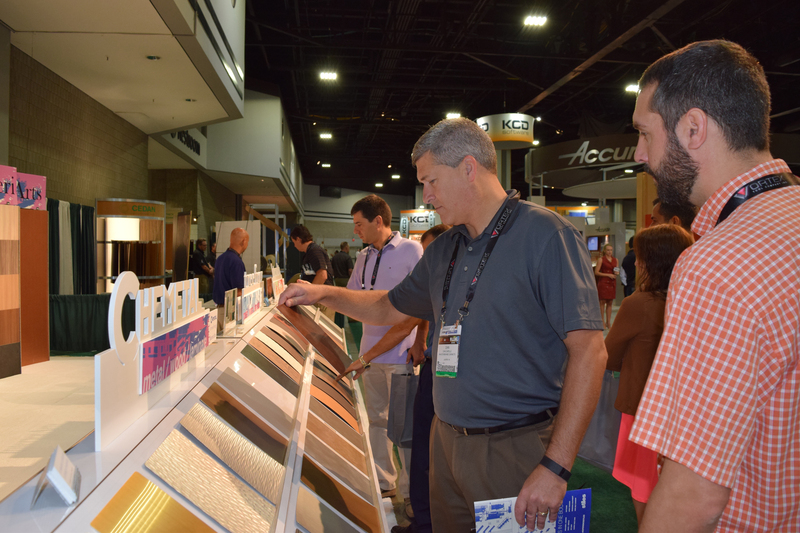 Scott Wright, product manager of Renaissance Specialty Veneer Products in Columbus, IN, said, "Because red oak is a very porous wood, you have to be careful not to overdry it or it will get brittle and buckle in the veneer form. Lumber could also check and warp under those conditions." Wright also said he is seeing an increase in calls for rift-cut material. He said his clients seem to favor the wheat- and straw-colored red oaks over the more red-tinged material. "Both oaks remain a popular choice in lumber and veneer. People associate strength with oaks. They see a piece of furniture made from red or white oak and they say, ÃÆ?ÃâÃÂ¢ÃÆ?Ãâ?ÃÆ?Ãâ?There's a good solid piece'," Wright said. rift-cut red oak continues to gain popularity today.